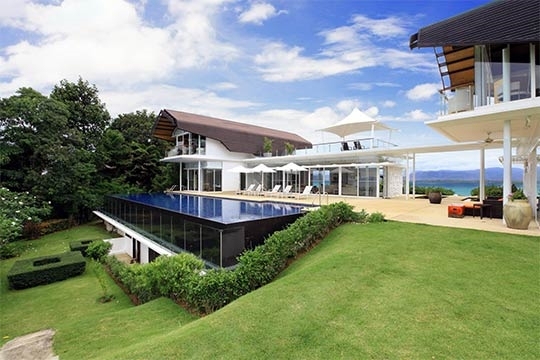 From dawn to dusk, Villa Sapna is perfectly positioned to take in the full glory of its hillside setting at Cape Yamu, on Phuket’s tranquil east coast. 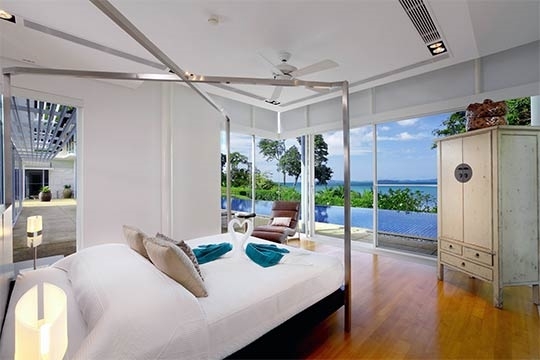 Magnificent sunrises, spectacular sunsets and the vivid blue of the Andaman sea form the backdrop of your stay here. 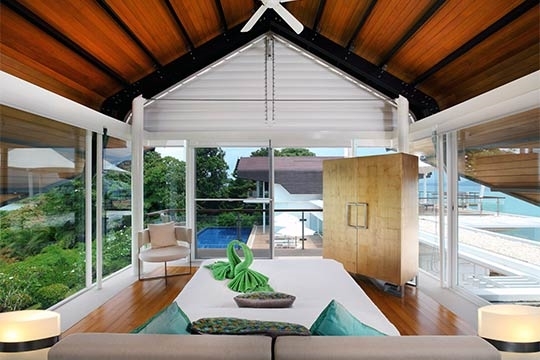 Sapna means ‘dream’ in Hindi, and the views are just one dreamy part of a holiday at this stunning modern villa, which brims with colourful works of art, bold furnishings, stylish living areas and lavish bedrooms. 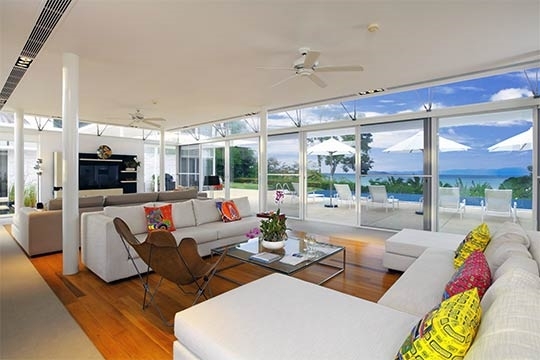 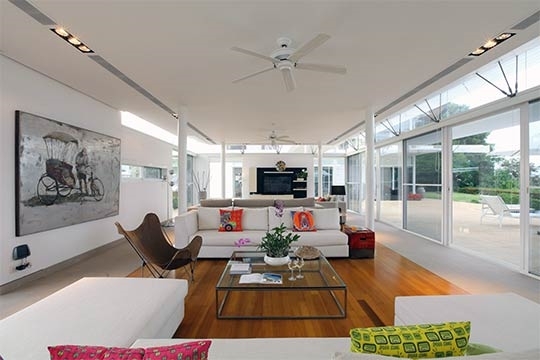 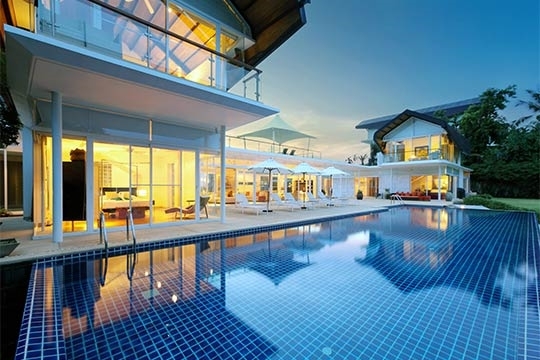 Walls of glass connect the villa fully to its beautiful tropical surrounds, with the indoor spaces flowing open to the 20-metre pool, sundeck and gardens. 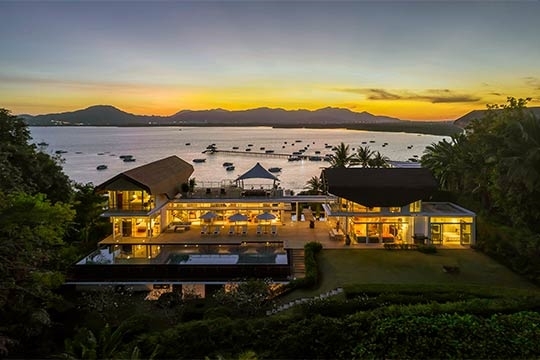 This magnificent setting offers the perfect backdrop for an intimate wedding or other special celebration: events for up to 80 guests can be arranged at Villa Sapna with prior notice. 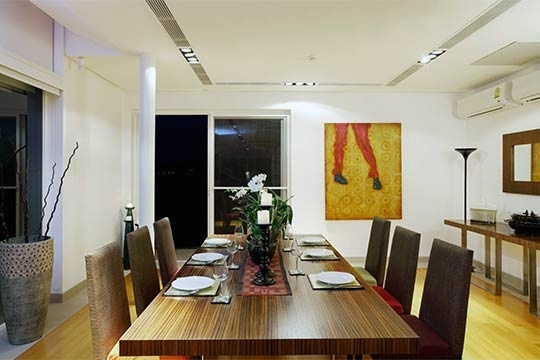 Sapna’s spacious living areas are accented with captivating paintings, including two cheerful works by Chinese artist Yue Min Jun in the open-plan living and dining room. 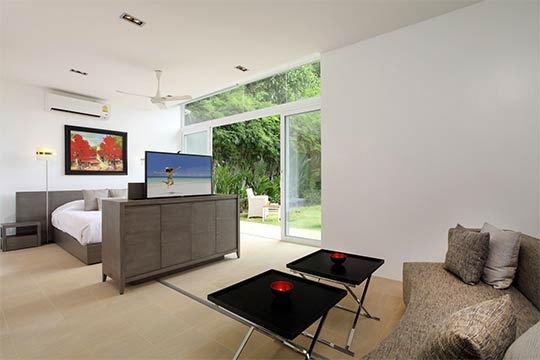 The family room is an inviting place to relax, with two comfy sitting areas, a home theatre and a study space. 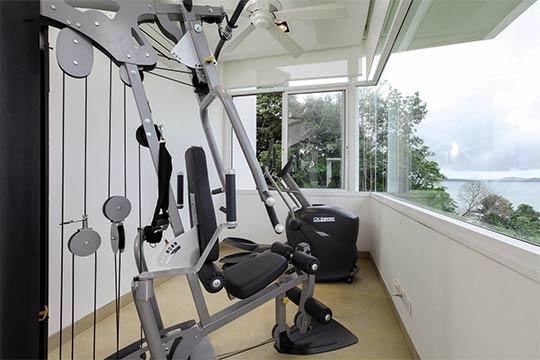 There’s a gym tucked away in an adjacent room at the back. 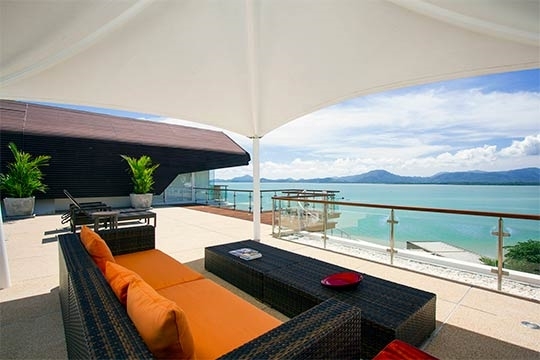 The furnished rooftop terrace is a prime spot to gather both morning and evening, with its 360-degree panoramic views of Phang Nga Bay to the east and Sapam Bay to the west. 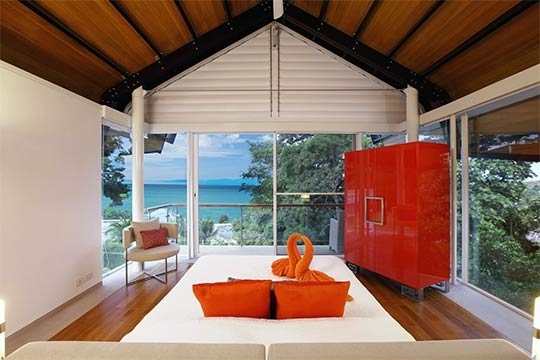 Fantastic views are also a feature of all five bedrooms at Villa Sapna, each furnished with a double bed and equipped with an ensuite bathroom. 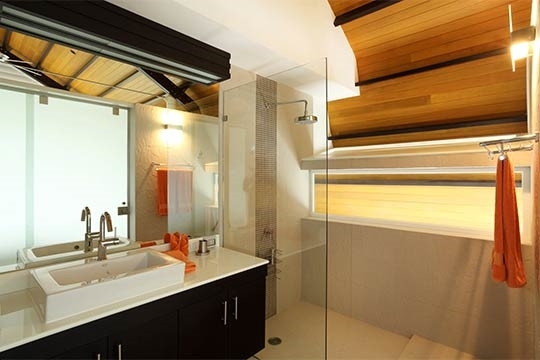 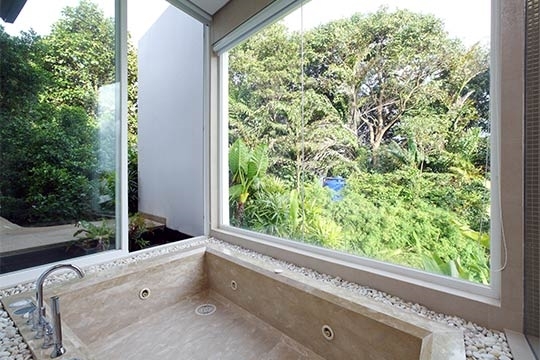 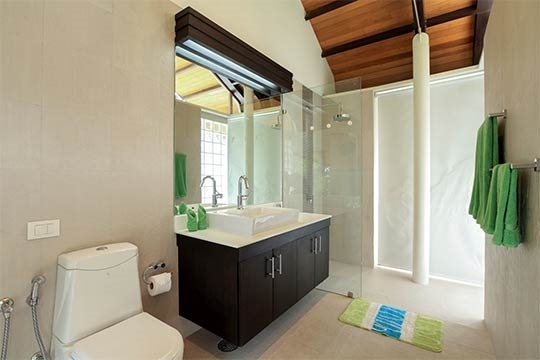 The master suite also boasts a jacuzzi tub in its bathroom. 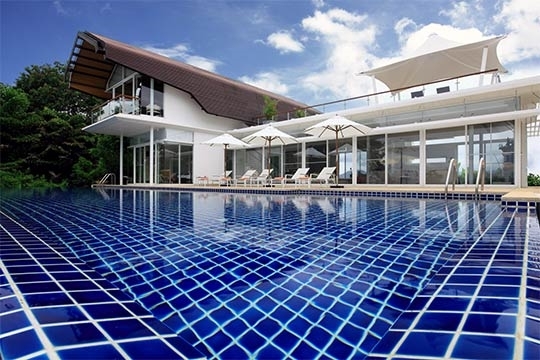 A full team of staff includes a villa manager, housekeepers/service staff and security. 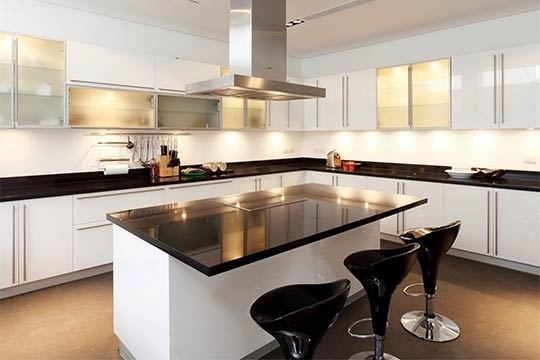 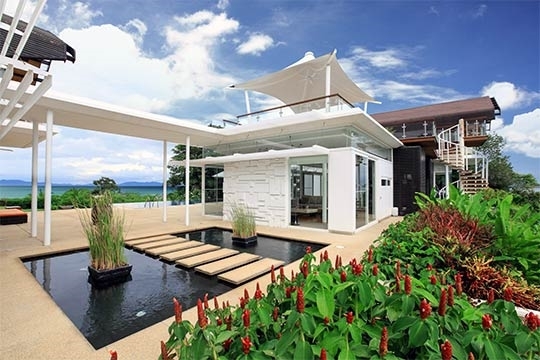 There’s a modern and amply equipped guest kitchen at the villa, although it’s unlikely guests will want to spend much time preparing meals when there’s a talented Thai chef on hand to do it for them. 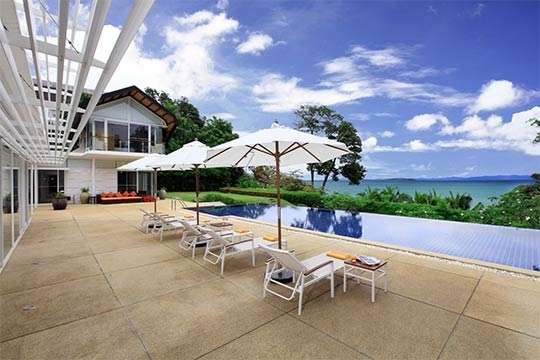 Cape Yamu lies on Phuket’s lesser-visited east coast. 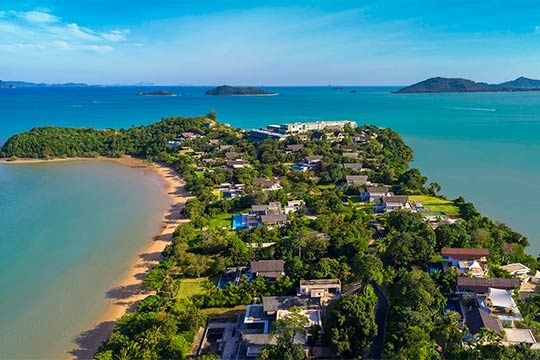 The surrounding landscape is lush and rural, and it’s a great launching point for exploring the spectacular coastlines and islands of Phang Nga Bay. 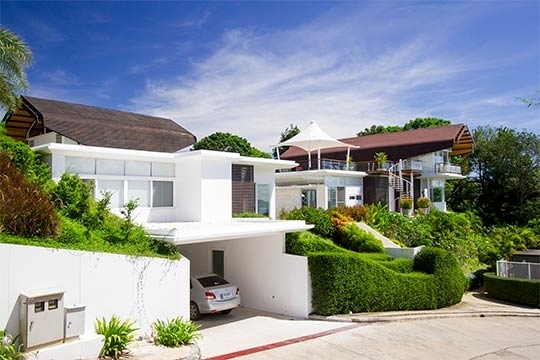 A short walk downhill from the villa leads to a small beach with a pier and a few local, low-key shops and restaurants, while the celebrated Breeze restaurant is less than a kilometre up the road. 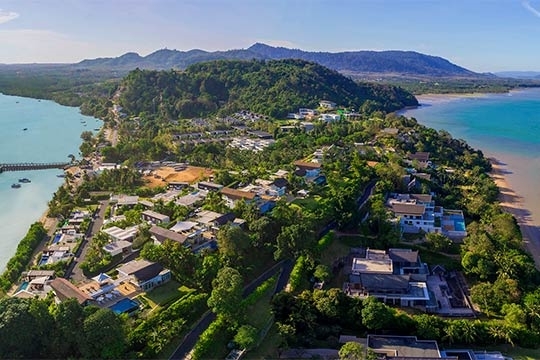 For those wanting to explore beyond the villa, a number of swimming beaches, shopping centres, golf courses and other leisure activities may be reached within a 30-minute drive. 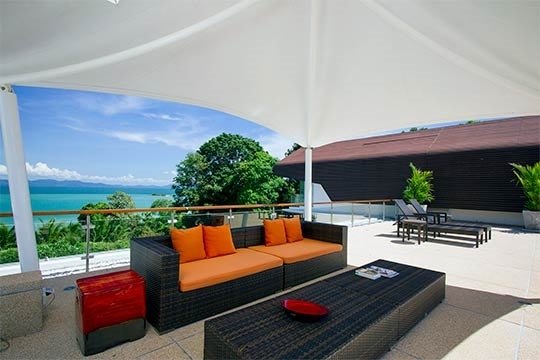 A modern escape with a full panoramic view of the sea, sunrises and sunsets. 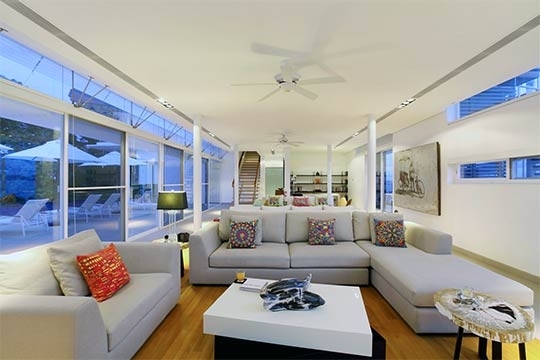 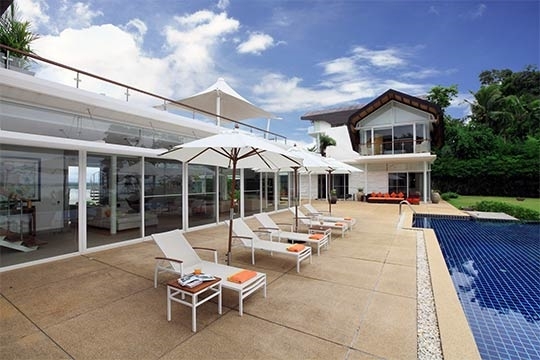 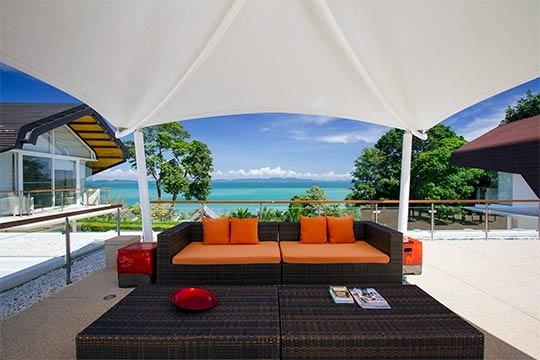 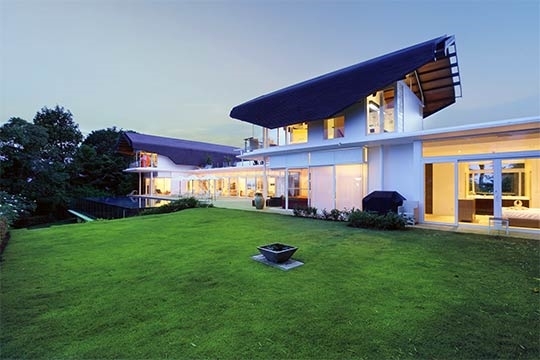 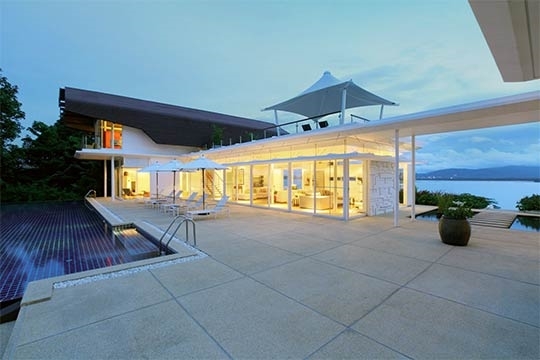 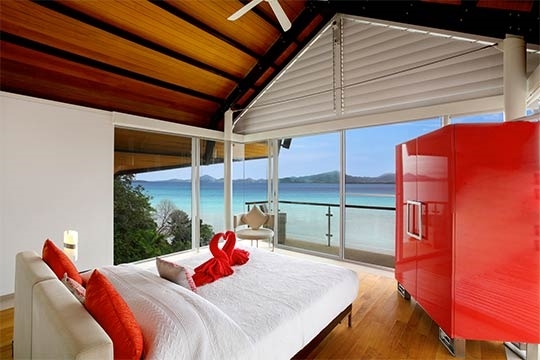 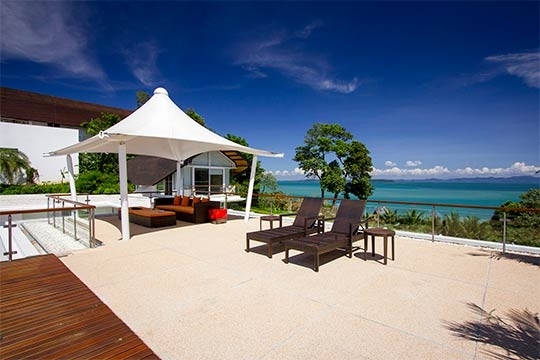 Villa Sapna is one of 18 luxury villas in The Bay at Yamu, a hillside estate in Cape Yamu on the east coast of Phuket. 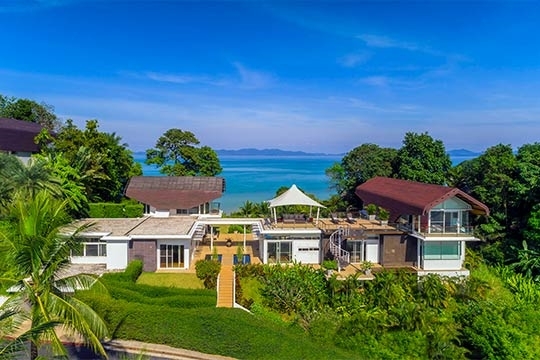 Its lofty position offers fine views of both the sunrise and sunset, and a breath-taking panorama that includes Phang Nga Bay and Sapam Bay. 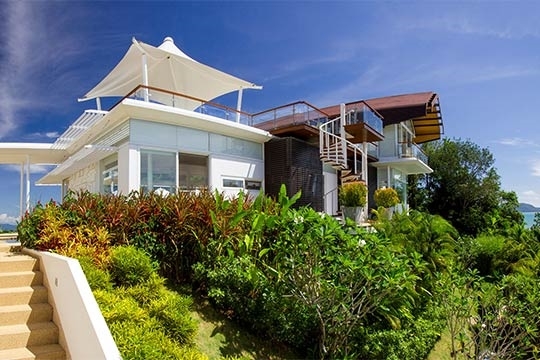 Just a five-minute walk down the hill is a small beach where boats can be hired for trips to nearby islands. 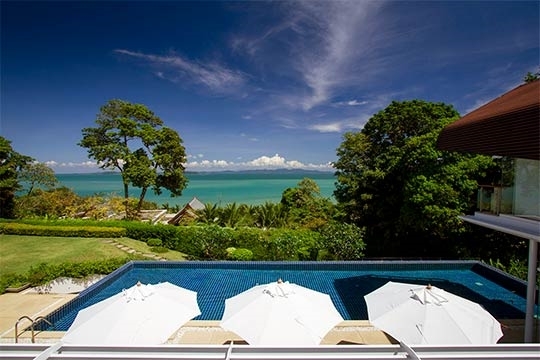 From the beach, traditional long-tail fishing boats can be seen gliding across the glassy water of the bay. 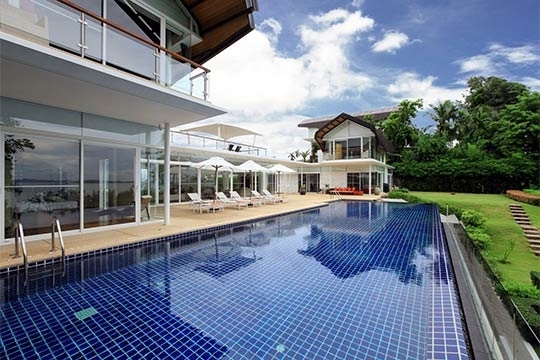 It’s not an ideal place to swim, but more for taking a stroll and soaking up the scenery. 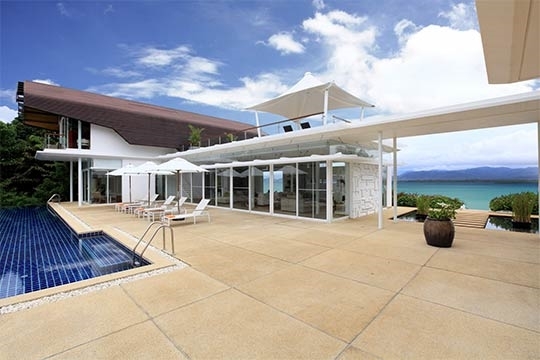 An open-air beachfront restaurant and a few shops offer snacks and Thai meals, while a one kilometre walk or drive to the east brings you to the excellent Breeze restaurant, best known for its decadent Sunday lunches. 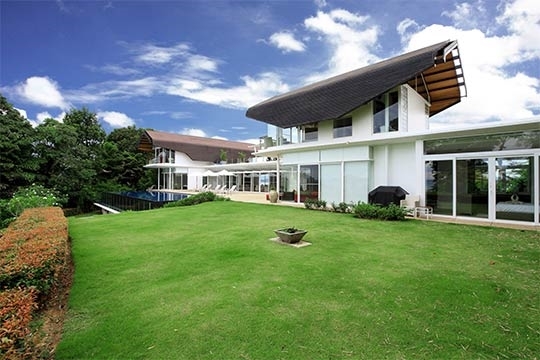 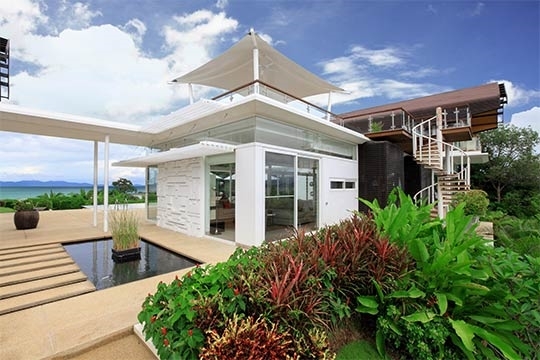 5 bedroom villa located in Cape Yamu, Phuket. 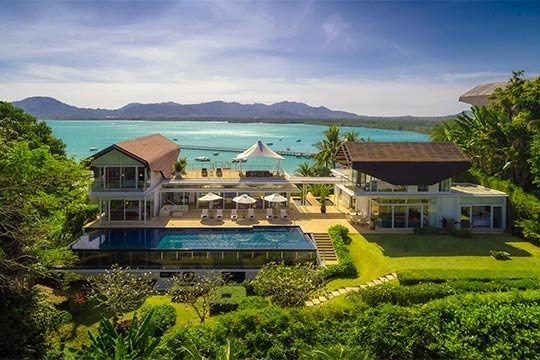 Ideal for Beach in ten, Body and soul, Bring the relatives, Executive escape, Kid friendly, Going for golf, Fair share for groups, Private island hideaway, Party pads, Sensible for seniors, Room with a view, Perfect for weddings.